Posts related to learning to play the violin, violin instruction and private violin lessons. Repetition is important in learning any skill, but it can be boring. An easy fix is to have fun and creative games for practicing your songs and exercises at home. Start small – Music is better learned in smaller sections rather than playing the whole song over and over. Identify the most challenging parts and play through them until you are comfortable with them. Most children don’t like playing the difficult parts and often end up skipping over them. You can help by asking them to stop and find the tricky part. You can even guide them to find a way to fix it. Sometimes learning a song will be difficult and it takes time. Praise and encourage your child daily for their efforts. Allow them to take a break or play another song if it is too frustrating. Include time for your child to play songs that they know well and enjoy. 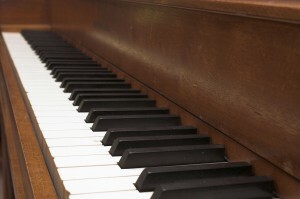 Improvisation and composition of new songs can also be included. Listening to music that your child enjoys, looking things up on the computer, or watching a music DVD of any genre all count towards your child’s at-home learning. There is so much that can be said about practicing a musical instrument. 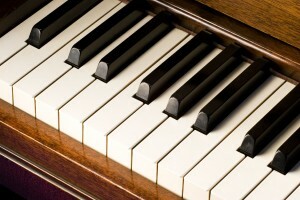 Practice at home is the key to turning weekly music lessons into a lasting ability to play an instrument. The role of the parent is especially important with young beginners. For children ages 4-6, the music teacher will need your help to guide your child in practicing at home. Make sure that you understand everything that is taught during the lesson, what your teacher expects to be done at home, and how you can be involved. Essentially, you will be learning music alongside your child. For beginners age 7+, you may not need to be as involved in every part of practicing. We still recommend that you set a routine for practicing, ask your child what they are learning, and listen to and praise what they do. After 1-2 years of music instruction, your child will be more able and willing to practice on their own. We enjoyed this fascinating NY Times Article about the unexpected benefits of early music education.